Perhaps more than any other, Spring is a season that requires a hard refresh. New clothes, new palettes, new playlists, new hair-dos, new friends, new you. So while you’re at it, it’s more than appropriate to give your liquor cabinet its due diligence in preparation for toastier climes. We visited our friends at Balliceaux in Richmond, VA and met with bartender Sean Rapoza to settle up on the perfect springtime cocktails. 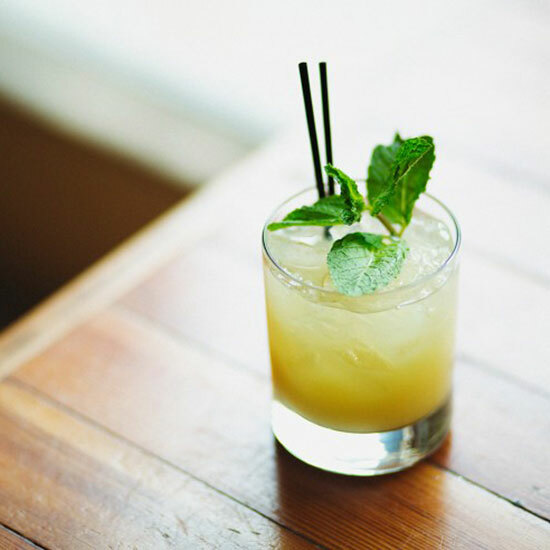 A Virginia spin on the midcentury favorite, The Moonshine Mule adds a bit of bite to what would otherwise be a mellow springtime affair. Use crushed ice for best texture, or slap with an ice-tapper as pictured below for the right consistency. Mix equal parts Belle Isle Premium Moonshine (or a high-end vodka) and ginger beer (homemade is best). Add a squeeze of fresh lime and garnish with a big bouquet of mint. Make sure you spank the mint a few times to release the aromatics. A refreshing favorite for pairing with finger sandwiches and the like, Balliceux's spin on the classic Pimm's Cup doubles down on the aromatics for a crisp burst of spring. Muddle the cucumber, mint, and lime in a highball glass. Combine 1oz Commonwealth Gin, or a comparable, hop-distilled gin for a less piney flavor. Add 1oz Pimm’s and top with tonic water. Finish with 1oz Fernet Branca and garnish with cucumber. For something a bit headier, a scotch-based concoction with a vinous bent. Half of this, half of that. Combine equal parts Cocchi Barolo Chinato and Scotch. Add a dash of bitters. Stir with ice. Serve up. Garnish with an orange. Get drunk.